Narratives of faith across a pluralistic landscape. The past few days I’ve been going at a very heavy pace, visiting as many places and meeting as many people as I possibly can. I’m only here for a week, so I feel compelled to make the most out of every minute. Today, however, I decided to slow down a bit. I’ve also decided to give myself and you, dear reader, a break. 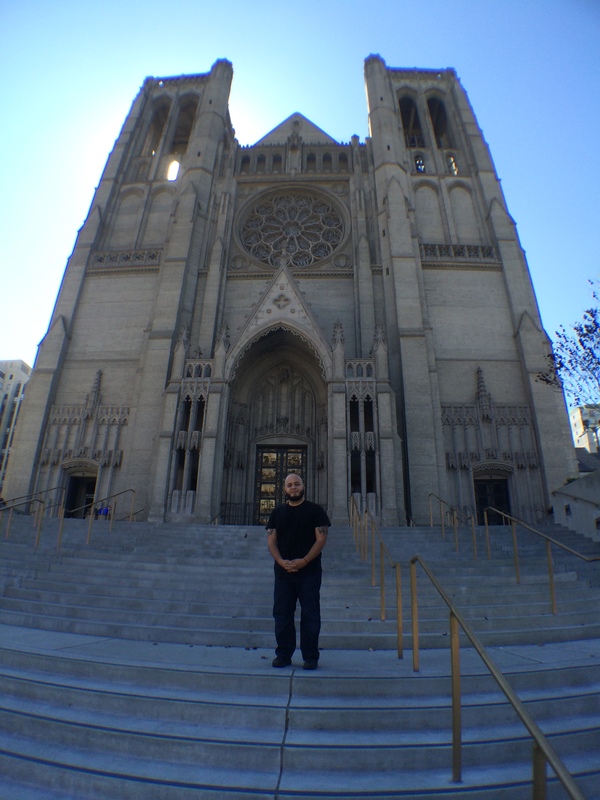 This won’t be an endless blog post, instead I’ll leave you with a few photographs of my visit to Grace Cathedral. 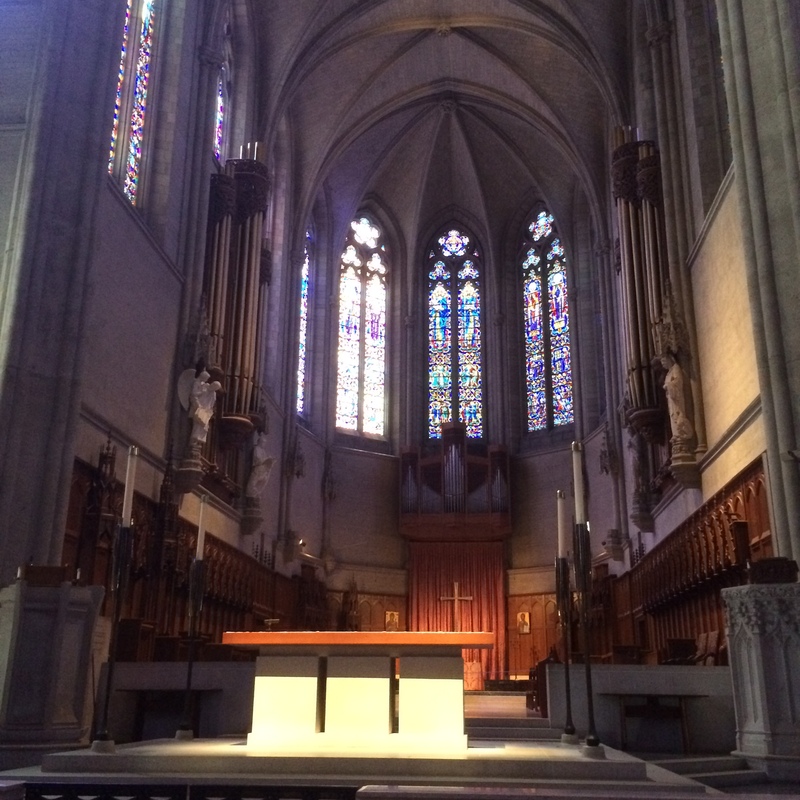 I chose Grace Cathedral for my day of rest because of its labyrinths. Those of you who have followed my journey might remember my first experience walking a labyrinth. 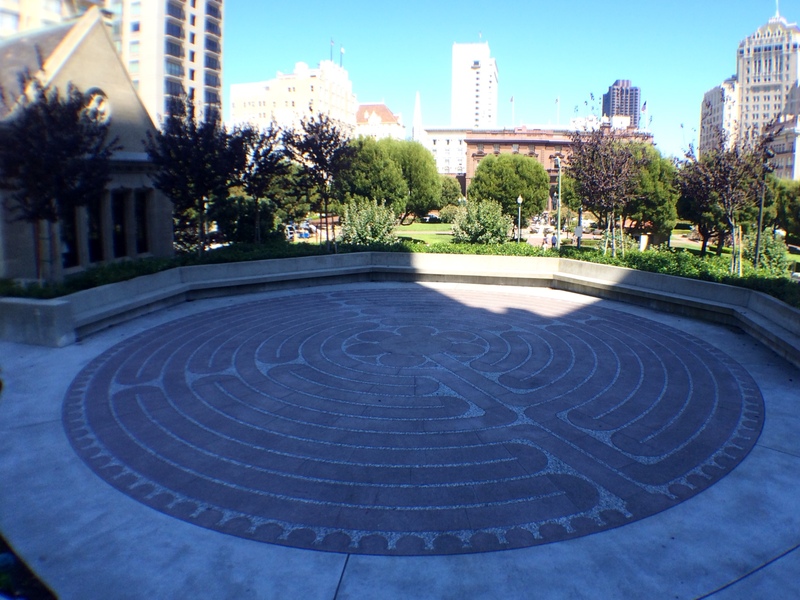 I knew that walking a labyrinth, particularly one in such a magnificent sacred space as Grace Cathedral, would be just the thing to do for my teeming spirit and my tired body. Thank you for reading along, and thank you for your kind comments, which I find both encouraging and thought-provoking. NOTE: If you are on Instagram, be sure to follow me @storiesofdevotion for real-time updates and more pictures. My view of the back of the cathedral as I approached from Jones Street. 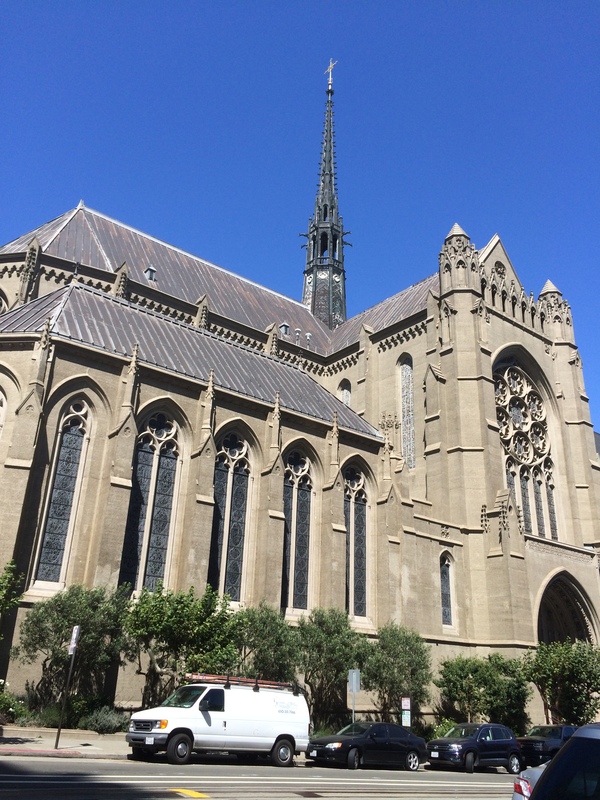 I walked some four of five of the steepest blocks I’ve ever known, only to be greeted by the Cathedral’s backside! A view of the sanctuary. 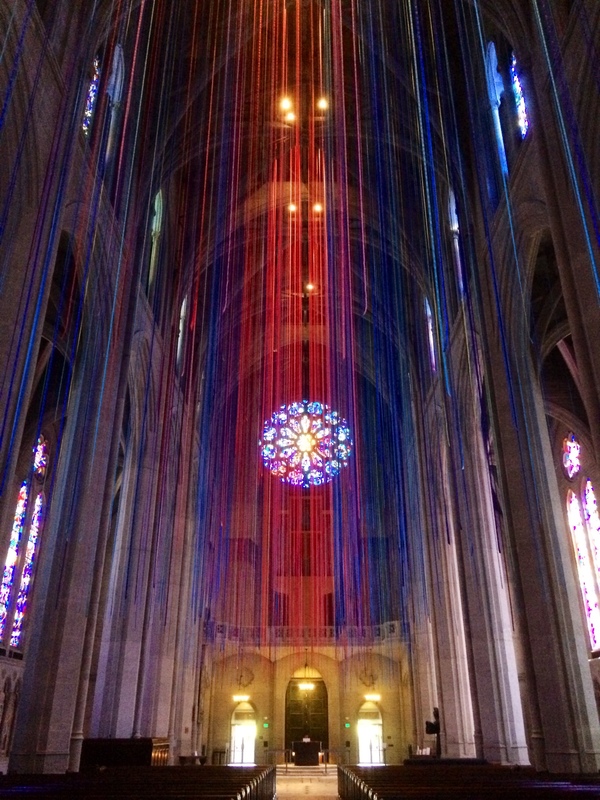 The rose window through the Ribbons of Light, a temporary art installation. 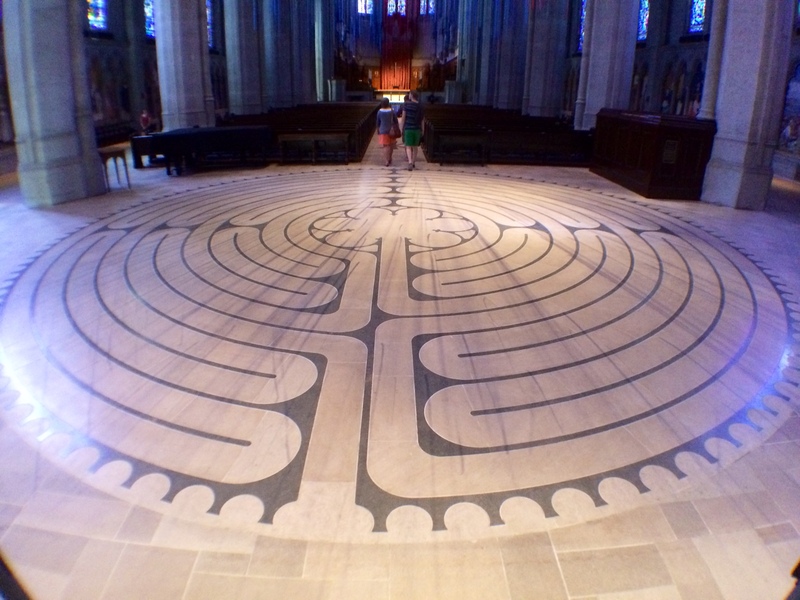 The labyrinth toward the entrance to the nave. The photo doesn’t do a good job of showing the size of this beautiful labyrinth. 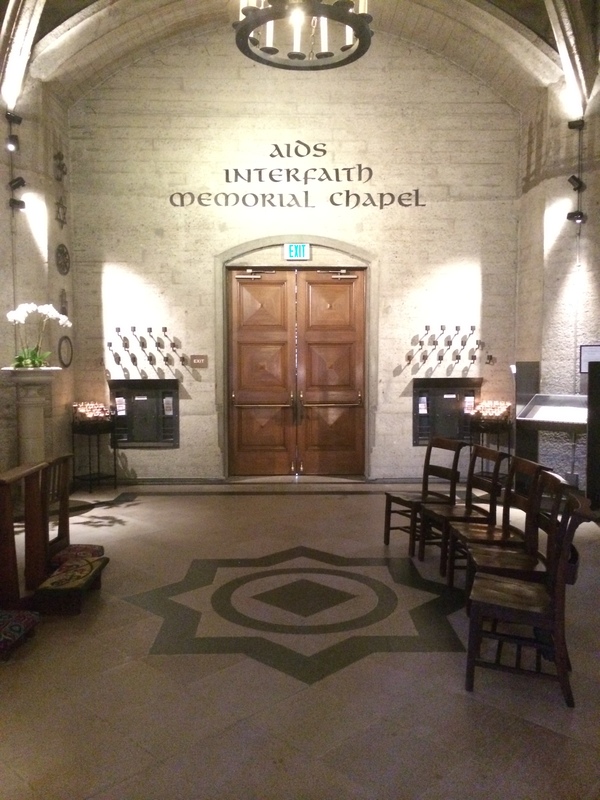 At the entrance to the AIDS Interfaith Memorial Chapel. The labyrinth outside, with beautiful views of the city. A magnificent cathedral and a respite for the spirit.